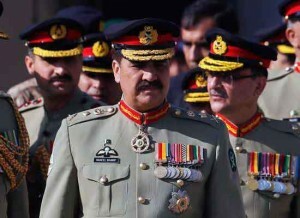 The people of Pakistan owing loyalty to the State hail General Raheel Sharif as some kind of a Messiah. Such messianic inflection moments are endemic phenomenon, given the construct of the country. Pro-Pakistan citizens in Pakistan are a rapidly dwindling commodity. They are confined mainly to Punjab, partly Khyber-Pakhtunkhawa and to even lesser proportion in Sindh. Having completed his tenure, General Sharif is to demit office, if at all he does. It is nevertheless an appropriate juncture for appraisal of his impact on Pakistan internally and externally. It is particularly critical for the people of Pakistan to realize as to what sort of Pakistan, the very powerful army chief Raheel Sharif is leaving behind. The Army under General Sharif has descended professionally to a new low. Soon after General Sharif took over, there was a terrorist attack in an Army School in Peshawar in mid-December 2014. 132 school children were killed. The incident shook the nation including the Military. Consequently, a comprehensive National Action Plan (NAP) was initiated. The objective was to purge Pakistan from all facets of terror. Another important objective was to supplement the ongoing military operations Zarb-e-Azb in North Waziristan, an operation which as per Pakistan sources has claimed lives of more than 500 soldiers and 4000 civilian casualties. No weapon system sans nuclear in the armoury of Pakistan has been spared and yet for last one year General Raheel Sharif has been claiming that the Operation is in its final phase. If nothing else, it exposes the inability of the military to fight insurgencies within, notwithstanding Pakistan’s ability to use terror against its neighbours as an instrument of State Policy. It was inevitable that China’s economy would slow from its once turbocharged growth rates. But its leaders have made so many mistakes in recent months that they have turned what should have been a benign, natural slowdown into a chaotic descent. China’s main stock index fell nearly 10 percent for the week, depressing stock and commodity prices elsewhere. These drops are not in themselves a big economic problem. The larger question is whether China’s leaders, their credibility already damaged, will see this moment for what it is: a dramatic warning that it’s time to make fundamental changes in the way they manage the economy. The Chinese economy, the world’s second largest, is growing at nearly 7 percent a year — down from 10.6 percent in 2010 but still a healthy pace for a country at its stage of development. The problem is that the boom was fueled by lavish investment and spending as well as profligate borrowing, a lot of which will probably not be paid back. China’s central government orchestrated that binge by pumping billions of dollars into the economy in the aftermath of the 2008 global financial crisis and by failing to enact needed reforms that would make it easier for private and foreign companies to compete with inefficient state-owned enterprises. If you’re a foreigner like me who has practically devoted his life to China, you are constantly enraptured in its rich history, culture, and language. But inevitably there are the Chinese idiosyncrasies that so often frustrate foreigners living in the country. People constantly hock loogies in the street. Middle aged men show off their beer bellies by rolling up their shirts all the way to their chest, the infamous “Beijing bikini.” Public spaces are constantly filled with a cacophony of loud voices, completely inconsiderate of anyone who wants peace and quiet. Traffic sometimes feel like a death race, with drivers disregarding the rules of the road, coming dangerously close to pedestrians. And the idea of waiting on line is completely nonexistent. Getting on the subway is a constant clash of bodies as people attempting to leave the train car go head to head with people rushing to get in. At the Beijing South train station, a mob of people pushed, shoved, and elbowed its way up to the ticket counter. One time I even witnessed an all-out fist fight over one guy who brazenly cut the line. It took a policeman to end the bloodletting. The G20 summit is not enough to prove China as a global leader, but it’s a step in the right direction. “Up in heaven, there is paradise; down on earth, there are Suzhou and Hangzhou.” So Chinese President Xi Jinping set the tone last weekend, opening the 11th edition of the G20 Summit as the head of states and ministers of the 20 leading global economies gathered in Hangzhou. For its first time hosting the G20, China spared no efforts to present to guests the attractiveness of the city, Xi’s own fiefdom. A quarter of its inhabitants were incentivized to leave the city to avoid traffic, while the surrounding factories were shut to ensure blue skies for the duration of the meeting. 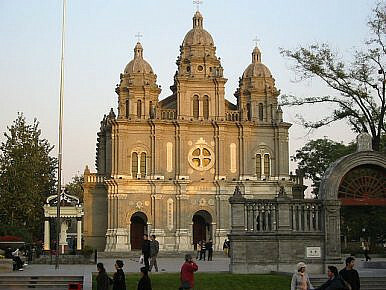 Maximal security measures were put in place, with blocked streets, endless security checks, and one to two policemen every ten meters around popular attractions. Beijing went out of its way to impress guests, who were assisted by 1.5 million volunteers: from the Ming Dynasty style tai-shi conference chairs – “the seats for imperial grand masters”– to the stunning dance performance managed by famous director Zhang Yimou on the shores of the West Lake, Beijing fully played the soft power card. Sitting in one of my Manhattan client’s office today, you cannot help but sometimes glance at the televisions. Since this is a financial institution, CNBC is naturally the station of choice. Normally the live shows discuss equities, options, or how the iPhone 7’s roll-out will impact Apple’s share price. The last several days also included discussions around the G20 summit hosted in Hangzhou, China, and its economic impact. Was including a Taiwanese landmark in a commercial showcasing China a simple editing mistake on CNBC’s part, or intentionally approved by the SCIO? 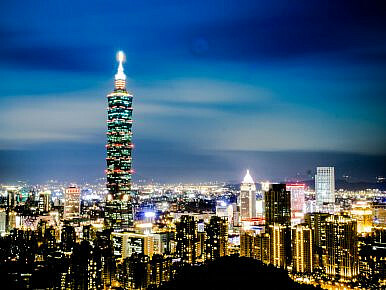 Given the office’s history and target audiences, it is hard to believe Taipei 101’s appearance was not specifically by design, a subtle message to Taiwan’s new government, the United States, and the region, about the People’s Republic of China (PRC) view on the island.Enjoying this article? Click here to subscribe for full access. Just $5 a month. North Korea's Big Nuclear Test: What Do We Do Now? Improvements in the DPRK's nuclear arsenal create new risks that the United States must address, but deterrence is not dead. The Afghan government’s reliance on Abdul Raziq highlights Kabul’s reliance on warlords for its war strategy. Threatening to capture the provincial capital of Urzugan, Tarin Kot, Taliban militants stormed the city Wednesday and Thursday morning. Fighting wasreported near the prison and governor’s house, with reports that local Afghan security forces and police had fled their posts. Early Thursday morning, Taliban militants had captured the prison complex, but Afghan officials had already relocated the prisoners—highlighting a lesson learned from previous Taliban jail breaks. By Thursday night, much of the fighting had subsided with heavy casualties on both sides. 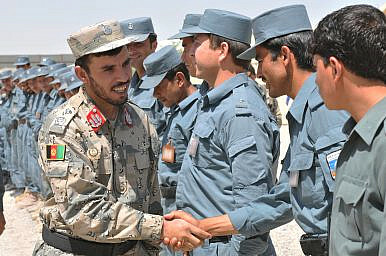 Bolstered by NATO airstrikes, reinforcements commanded by Kandahar’s feared police chief General Abdul Raziq, and accompanied by the 205th Maiwand Corps arrived at the city, pushing the Taliban back.Enjoying this article? Click here to subscribe for full access. Just $5 a month. 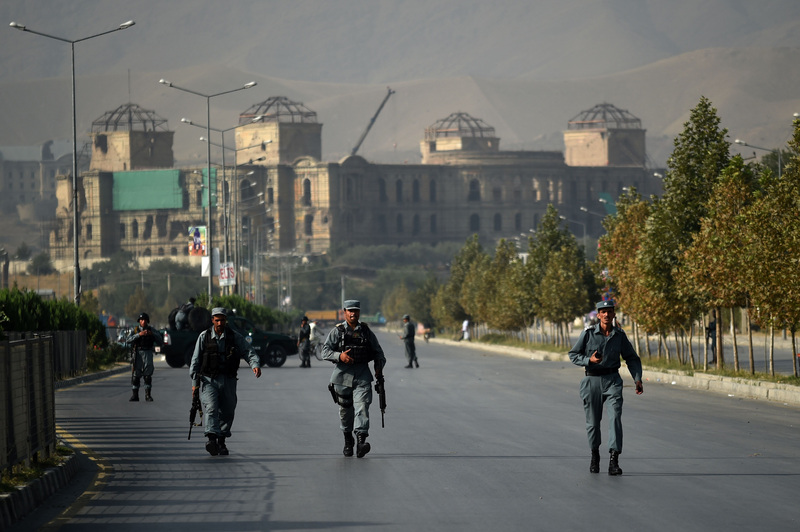 Reports estimate 180 Taliban dead and 75 wounded, while 11 Afghan police lost their lives. Those who would fight the Taliban cannot present a united front. Media reports treat the story of the Taliban taking over districts all across Afghanistan as something that should not be happening. The underlying assumption is that the Taliban would not be resurging if mainstream forces were not corrupt and if they behaved democratically. There is a general tendency to overlook the reality that Afghanistan is afflicted by a much deeper problem – there is no mainstream to begin with, at least not one that is coherent. Indeed, the Taliban are fractious, but they are still the single largest coherent force in the country. For the past several months, there has been no shortage of reports about Taliban fighters going on the offensive in various parts of the country. In the past few weeks, the situation has gotten grim. After surging forces in several districts of southern Helmand province, the Afghan jihadist movement is threatening the provincial capital of Lashkar Gah. But the province is in the Taliban’s core turf in the country’s south. The Russian Ground Forces are at a crucial point in their history, and there’s not even in a major war. The Russian Army needs new equipment, and needs it fast. A lagging Russian economy throughout the 1990s and 2000s kept defense spending low. As a result, Moscow has long relied on inherited equipment from the old Soviet Union. Unfortunately, like many inheritances, that of the Russian Armed Forces is rapidly running out. The newest equipment is now nearly thirty years old, and despite upgrades such as the T-72B3, fresh equipment is urgently needed. A new generation of tanks, armored personnel carriers and infantry fighting vehicles has been promised, but given Russia’s economic downturn and Western sanctions, will they ever enter service? Here’s an optimistic picture of what might equip the Russian Army in 2030. For two years while their country joined the United States and the United Kingdom in a voluntary moratorium on nuclear tests, Soviet nuclear scientists, including Andrei Sakharov, the “father of the Soviet hydrogen bomb,” developed and refined new weapon concepts and designs. Now they had to deliver big results in very short order. Khrushchev wanted a political spectacle to shock and awe the West, and it had better go right. The Communist Party's 22nd Congress in October 1961 required something special. It isn't clear who proposed a 100-megaton bomb—Khrushchev or the weaponeers—but at the premier's command the most powerful nuclear weapon ever built had to be ready in only four months. “Obama, the cerebral son of an anthropologist” — this is how the Associated Press touted soon to be ex-president Barack Obama on his visit to Laos this week. 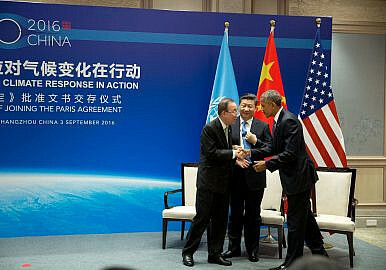 The AP went even further, declaring Obama’s approach “soft diplomacy”. One has to wonder where all of the “soft diplomacy” was in the seven brutal wars simultaneously fought by Obama (Iraq, Afghanistan, Libya, Somalia, Yemen, Pakistan, Syria), a number of them pursued illegally (either in violation of international law, or domestically in violation of the War Powers Act), and all with disastrous consequences. However, it’s good that the AP declared — because this was the real point of their boosterism: “If there was a single day that demonstrated just how different Obama is from Donald Trump this might have been it”. I agree, but it’s not Obama that will survive the comparison. Unfortunately, anthropology also gets a bad name thanks to Obama and the AP. As Maduro loses support and the opposition stares down a deadline, political turmoil in Venezuela could come to a head. Today Venezuelans are expected to hold marches nationwide in response to calls from opposition coalition Mesa de la Unidad Democrática (MUD). On Sept. 5, MUD Executive Secretary Jesús Torrealba called on municipalities to gather in front of the regional headquarters of the National Electoral Court located in state capital cities. 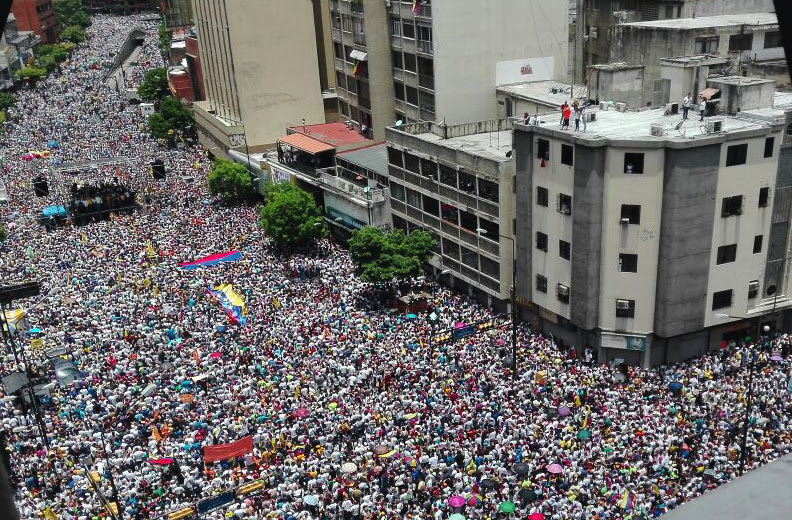 Similar to the Sept. 1 marches in Caracas, the protesters will demand that a date be set for the next step of the revocation referendum aimed to oust President Nicolás Maduro from office. The establishment’s view that there is no crisis in the system is leading to surprising election results for mainstream parties. German Chancellor Angela Merkel said something interesting yesterday. She said that the voters should not be blamed for her party’s defeat on Sunday in her home district. In the chancellor's words, “scolding the voters achieves nothing.” The Christian Democratic Union (CDU) came in third in local legislative elections in Mecklenburg-Western Pomerania, behind the anti-immigration nationalist party Alternative for Germany. The elections decided nothing major, but were a measure of how unpopular the CDU and Merkel have become. As the business of connected devices explodes, DOJ joins other agencies in evaluating the national-security risks. By 2020, there will be anywhere from 20 billion to 50 billioninternet-connected devices, including about one in five cars and or trucks, according to industry forecasts. That’s big business for outfits that sell data or streaming services. For the Justice Department, it’s 50 billion potential problems. “In our division, we’ve just started a group looking at nothing but the Internet of Things.” John P. Carlin, the U.S. Assistant Attorney General for National Security, told the Intelligence and National Security Alliance on Thursday at the group’s annual Summit. “There isn’t a set number of participants for the team and we are going to pursue this initiative within our existing appropriation and budget,” Justice Department spokesperson Marc Raimondi toldDefense One. The New York Times has published over the weekend an excellentstudy of how foreign governments are buying influence at Washington’s think tanks. According to the story, foreign governments are not only getting prominent think tanks to embrace their views of what is in America’s interest, but to lobby for these views with politicians and high officials. I’ve seen the New York Times story greeted with a shrug and a “so what,” but it is a big deal, maybe even a bigger deal than the New York Timessuggests. Washington think tanks, which were originally intended as a source of impartial, objective, and disinterested information, have become arms of foreign as well as domestic influence peddlers. Juniper Networks Inc said late on Friday it would stop using a piece of security code that analysts believe was developed by the National Security Agency in order to eavesdrop through technology products.The Silicon Valley maker of networking gear said it would ship new versions of security software in the first half of this year to replace those that rely on numbers generated by Dual Elliptic Curve technology. The statement on a blog post came a day after the presentation at a Stanford University conference of research by a team of cryptographers who found that Juniper's code had been changed in multiple ways during 2008 to enable eavesdropping on virtual private network sessions by customers. 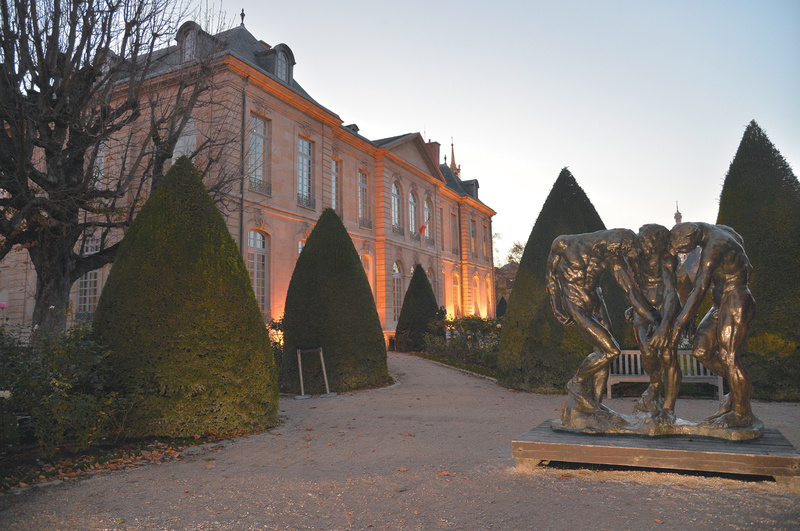 The renovated Rodin Museum in Paris, which reopened to the public on November 12, 2015, on the 175th anniversary of Rodin’s birth. At right is Rodin’s sculpture The Three Shades (before 1886). About the origins of modern sculpture there is a general consensus. The story begins with Auguste Rodin, who died in 1917 at the age of seventy-seven. Rodin was a mythomaniac in the perfervid Romantic style of Victor Hugo and Richard Wagner. He was also a connoisseur of particularities and eccentricities, who sometimes preferred the fragment to the finished work. He struggled to imagine and on a couple of occasions succeeded in creating the monuments that nineteenth-century statesmen, industrialists, and intellectuals demanded for their official buildings and public squares. All the while, he could see that the Apollonian order embodied by those monuments was giving way to increasingly Dionysian forces, which he celebrated near the end of his life with a small study of Nijinsky, the mesmerizing dancer many embraced as the avatar of a new age. Can Countries Control the Use of Drones by Ordinary People? NEW DELHI – In India, it’s illegal for a civilian to use a drone, though you wouldn’t know it if you went to a Bollywood-style wedding. A remote-control flying camera is the latest must-have addition at the country’s opulent three-day ceremonies, according to photographer Vijay Tonk, whose drone recently buzzed above a colorful throng of 300 guests at a wedding in the 18th century walled city of Jaipur. They also add to the growing concern among governments worldwide about how to deal with the millions of new, tiny aircraft that are taking to the skies every year as the cost of owning one plummets. SZ DJI Technology Co., the world’s biggest consumer drone maker, has seen revenue rise from nothing to an estimated $1 billion in 10 years. U.S.-based WinterGreen Research expects the drone market will be worth more than $16 billion by 2021. The Air Force earlier this month reached full operational capability in its Air Force Intranet Control (AFINC) Weapon System, which service officials say is the first cyberspace weapons system to reach FOC status. AFINC reaching FOC means that the system “is fully capable to serve as the top-level defensive boundary and entry point for all network traffic into AFINC,” according to an Air Force release. The system comprises 16 gateway suites whittled down from more than 100 regionally managed network entry points that were consolidated or replaced. The system also consists of 15 nodes for the Defense Department’s classified SIPRNet network, more than 200 service delivery points and two integrated management suites. It’s all centrally operated by the 26th Network Operations Squadron (NOS), based at Gunter Annex in Montgomery, Alabama. 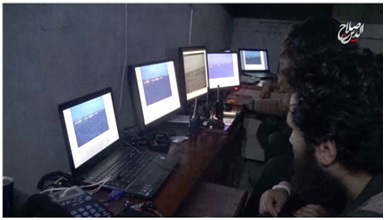 Evaluation of the PSYOP, or Military Information Support Operations (MISO), series is Phase VII of the seven-phase MISO process. [xvii][xviii] Teams on the ground often overlook or discard the evaluation phase because its importance is either not fully understood, or it is considered insignificant; coupled with the pressure from kinetic minded commanders who want immediate results, this step is often placed solely on the shoulders of the PSYOPers on the ground—who have little incentive to consider such complex scenarios. The size and density of urban populations hosting such digital habitats continues to grow[vii] while average soldier density on the battlefield has decreased since at least the 19th century[viii]. Future combatants will need to influence local populations more effectively than any before them. Fortunately, urbanizing audiences are more connected than those encountered in contemporary experiences. Iraq[ix]and Afghanistan[x] average only 4.6 Internet users per square kilometer. Iran[xi] and Libya[xii], both identified as primary regional concerns by the assigned Combatant Commanders, respectively have 14.9[xiii] and 21.8[xiv] Internet users per square kilometer. In Nigeria, where Boko Haram remains a threat to the functioning government and neighboring states[xv], there are 73 Internet users per square kilometer[xvi]. Handheld devices will provide an increasing portion of Internet connectivity. Global mobile access will exceed fixed line subscriptions in 2017[xvii]. As of October 22, 2015, Google experienced more mobile searches than desktop searches worldwide. [xviii] Mobile connectivity will be the new normal of future operational environments (OEs).